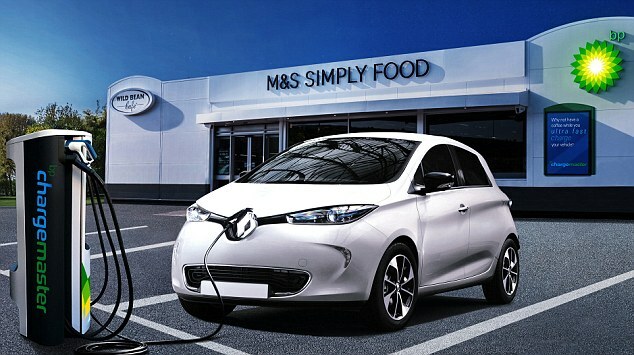 Oil giant BP has agreed to buy Britain’s biggest electric car charging company, Chargemaster. The multi-national oil heavyweight is banking on a major increase in the use of electric cars across the country over the coming years. BP predicts there will be 12 million electric cars on Britain’s roads by 2040, a marked increase from the 135,000 in use last year. London-based BP plans to roll out Chargemaster’s charging points across its 1,200-strong network of service stations across the UK over the next 12 months. As a combined force, the group, which will be called BP Chargemaster, plans to roll out an infrastructure network strong enough to keep up with a major increase in demand for electric cars. This will include the roll-out of ‘rapid chargers’ capable of delivering 100 miles worth of range in 10 minutes. Tufan Erginbilgic, chief executive of BP Downstream, said: ‘Bringing together the UK’s leading fuel retailer and its largest charging company, BP Chargemaster will deliver a truly differentiated offer for the country’s growing number of electric vehicle owners. ‘At BP we believe that fast and convenient charging is critical to support the successful adoption of electric vehicles. The amount of money BP plans to spend on buying Chargemaster has not been disclosed. BP’s acquisition marks the group’s latest move into green energy, having last month invested £15.3million in a company which makes ultra fast electric vehicle batteries. In October last year, BP’s rival, Shell, snapped up Dutch-based NewMotion, which is the owner of one of Europe’s biggest electric charging networks. Luton-based Chargemaster currently has 6,500 charging points across the country. The group also designs, builds, sells and maintains electric charging units in a raft of locations, including those used for home charging. After the deal is completed, staff at Chargemaster will continue to be employed by BP Chargemaster or its subsidiaries. 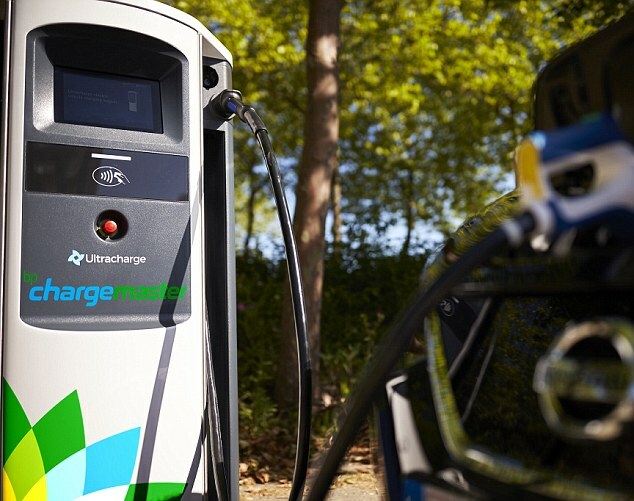 David Martell, chief executive of Chargemaster, said: ‘The acquisition of Chargemaster by BP marks a true milestone in the move towards low carbon motoring in the UK. 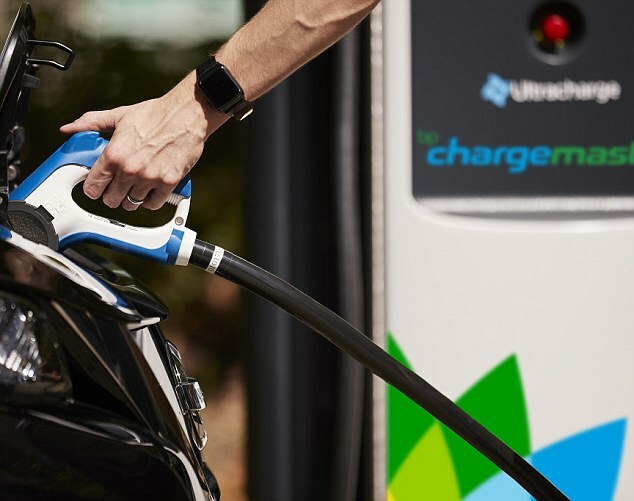 Erik Fairbairn, chief executive of electric vehicle chargepoint group Pod Point, said: ‘The acquisition of Chargemaster by BP is testament to the fact that future of transport is electric. At the beginning of this year, industry insiders estimated that around 60,000 low-emission plug-in vehicles would be sold in the UK this year, taking the tally on the roads to around 200,000. Earlier this year, research by What Car? revealed it may be more expensive to run an electric car than you think. According to What Car?, the rising cost of using public charging points along with a lack of off-street parking for charging and low vehicle residual values should give pause to the thousands of motorists expected to purchase an electric car this year. It found that accessing some public charging providers cost over £17 once you’ve tallied up subscriptions, connection fees and the electricity you’ve used – which is eight times what it costs to charge the same vehicle at home overnight. With many public charging points no longer providing free electricity and some charging as much as an eye-watering 30p per kilowatt-hour on top of regular registration and connection fees, the cost of replenishing batteries away from home has been on the rise. When What Car? took an electric vehicle out on the road, it found that the cost to charge the batteries to 80 per cent of their full power could vary significantly, from £17.46 for a Source London Flexi ‘fast’ (7.4 kW) charging station, to £7.70 for an equivalent Polar Instant ‘fast’ (7.2 kW) charger. 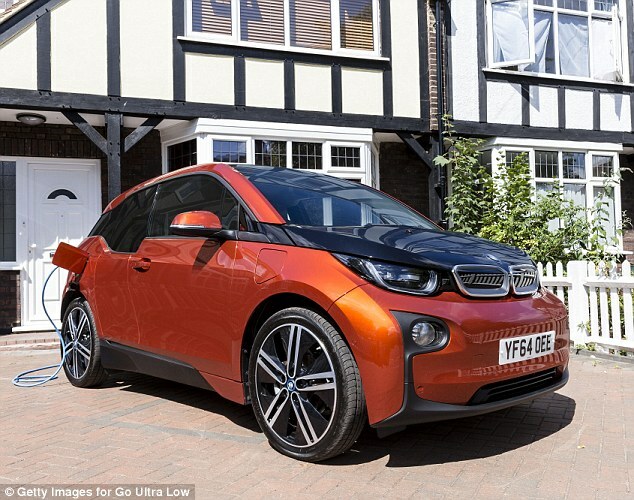 Plug the same car into a home charge point and you’ll pay just £4.37 during the day, it reckoned. If you recharge the batteries at night – when electricity demand is lower and prices cheaper – expect to pay half that again (£2.18) due to off-peak prices.